With a population of more than a-half billion people, the Association of Southeast Asian Nations or ASEAN is certainly an interesting market for businesses. What more when the ASEAN Economic Community project which will integrate the market of the 10 countries in ASEAN kicks in 2015. Given the potential economic growth, it would be natural for the demand for accountants in the ASEAN region to grow in tandem. As accountants play their many roles in the value creation of businesses and other organisations, the supply of competent accountants would certainly influence economic growth. As more countries adopt International Financial Reporting Standards (IFRS) for example, accountants who are IFRS conversant would be able to market their skills across many countries in the region. ASEAN has adopted a Mutual Recognition Arrangement Framework for accounting services in 2008 as a step to speed up the free movement of accounting services and people within the region. At the moment, the ASEAN Federation of Accountants (AFA) is playing the role of an umbrella body for accounting associations in ASEAN. A part from deliberating on common issues among the profession, AFA is also involved in capacity building activities among its member countries. 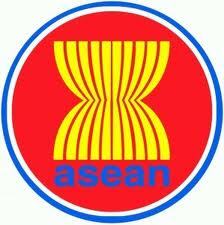 It organises a bi-annual conference which is rotated among the ASEAN capitals. While institution to institution relationship is vital in developing the accounting profession as a whole, the people to people relationship is the one that moves real progress on the ground. Unless people are comfortable with the liberalisation exercise, efforts at the policy level may not result in tangible progress due to the resistance on the ground. Dealing people whom you know and trust would eliminate the fear and concern of the unknown and would smooth discussions of complex issues. Realising this, the ASEAN Accountants Network has been established as a platform for accountants in ASEAN to connect, share views and thoughts and hopefully able to identify opportunities which serve their common interests. This should be viewed as complimenting the work done at the institution level such as through AFA. Leveraging on the social network platforms Facebook and Linkedin, ASEAN Accountants Network has started to pull many accountants in ASEAN to a platform where they would be able to enlarge their circle of influence, know new friends who have common interests and pursue common activities together, virtually for a start. While this project has a long way to go before its impact could be recognise, small little baby steps now would certainly turn into giant step later. I would like to invite all accountants in ASEAN to join the platform and leverage on the membership to develop the accounting profession in the region. 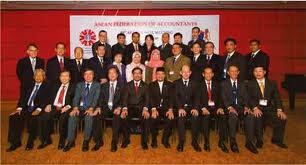 Welcome to the ASEAN Accountants Network.